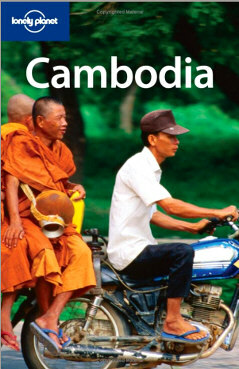 Matador editor Tim Patterson reviews the newest edition of Lonely Planet’s Cambodia guidebook. In the past two years I’ve spent seven months exploring remote areas of Cambodia, writing travel articles, learning Khmer and leading a rugged travel program for high-school students through Where There Be Dragons. My mission was to explore beyond the tourist trail, which, in Cambodia, meant discovering places unlisted in the Lonely Planet (LP) backpacker bible. The last Cambodia LP edition was researched in 2005. When I spotted the new 2008 edition in a Bangkok bookstore yesterday, I snapped it up and spent a pleasant afternoon reading it cover to cover. Although not without mistakes and oversights, the new Cambodia LP is a fine guidebook, well-written, well-researched and a big improvement over the previous edition. 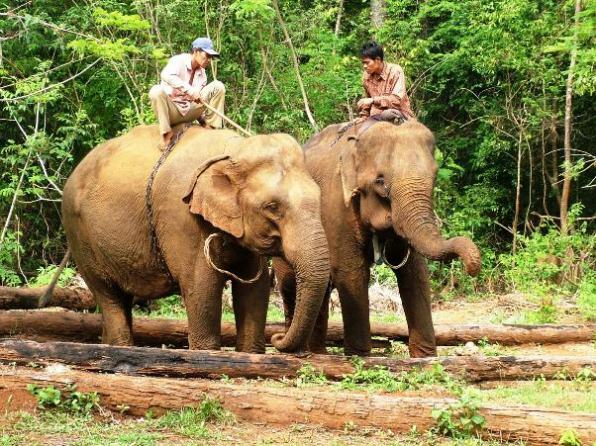 The best part of the new guidebook is the comprehensive coverage of the Cardamom Mountains, one of the last pristine tropical mountain watersheds in South East Asia. Eco-tourism is just starting to take off in the Cardamoms, and the new LP is way ahead of the curve, highlighting excellent guesthouses such as Rainbow Lodge and devoting pages to new eco-tourism ventures in the Cardamoms. I’ve written several articles about the Cambodian islands, and made two trips to Koh Rong island in recent months. I was pleasantly surprised to see a comprehensive description of Koh Kong island in the new LP, but it’s painfully obvious that the authors did not visit Koh Rong, Koh Rong Samleum or other islands apart from Koh Tonsay. Koh Rong is, in my opinion, the most gorgeous island in the whole Gulf of Thailand, and thanks to the LP’s oversight, my guide to Koh Rong remains the best resource available. The LP claims the Lazy Beach bungalows are on Koh Rong which is not true – they’re on Koh Rong Samleum. I was happy to see Koh Sdach get a mention – I’ve spent several weeks there and it’s a pleasant little island. However, travelers should note that the Sihanoukville-Koh Kong ferry described in the new LP was no longer running all the way to Koh Kong as of July 2008. The updated section on the Northeastern frontier provinces of Rattanakiri and Mondulkiri is well done. I was especially please to see my friend Jack Highwood’s Elephant Valley Project highlighted. I was most interested in the new sections on remote areas of Cambodia. The parts the majority of travelers will use – chapters on Phnom Penh, Siem Reap and Sihanoukville – were solid in the last edition and have seen only minor revisions. The history and culture sections are also relatively unchanged, but provide an excellent overview of Cambodia, and the book recommendations are right on. I congratulate authors Nick Ray and Daniel Robinson on a job well done, and urge them to visit Koh Rong.